Stripes is a new series in the Shapes collection, where fine lines cover the surface of the tiles, expressing the most minimal side of this pattern while achieving its richest aesthetic through simplicity. By the turn of each piece, we generate changing patterns where light plays with our senses by showing nuances in its design. The final result of the creation of these models entails months of work, do you want to know the complete process of creation of the series? For the conception of designs, you have to find inspiration. 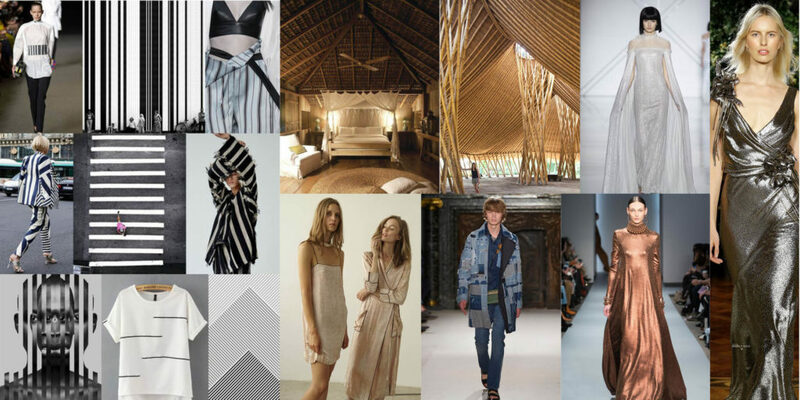 As you know, Dune captures ideas that come from fashion, art and interior design. After analyzing the trends in these sectors, we decided to launch a series as lines as protagonists. Our designers went to work on the reliefs and finally the creation of 2 items. One all with parallel lines and one that combines those parallel lines but in different ways. We already had the collection channelled. 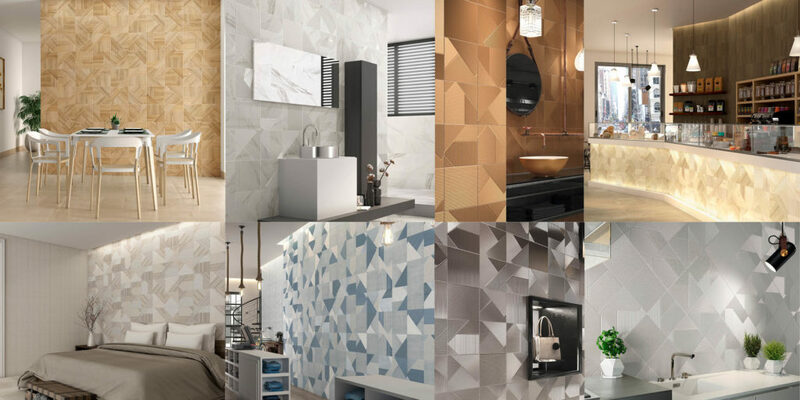 Even so, we were still steeped in market trends and we realized the relevance that wood was having in interior design, as well as textiles and metal. On the catwalks, we saw the models with a total denim look and a clear inclination towards the use of linen. After that, we decided to apply all of this to the reliefs already devised. Bárbara, Yolanda and Germana were the designers who got down to work with the creation of the finishes of the series. Once you have approved designs, you go to the production process. First of all is the creation of the mould. The mould is incorporated into the press and filled with earth. After being pressed, the piece with the shape of the reliefs appears. The next process is enamelling, which vitrifies the surface. 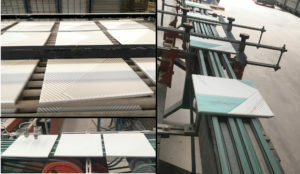 To add the final finishes (wood, textile …), the tiles pass through the injection machine. As you can see in the photo, the pieces after going through the digital technique acquire colours that have nothing to do with the final result. 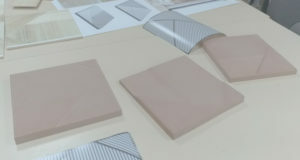 It is only left to cook the pieces so that later, they pass their quality control, they fit and reach our distributors.